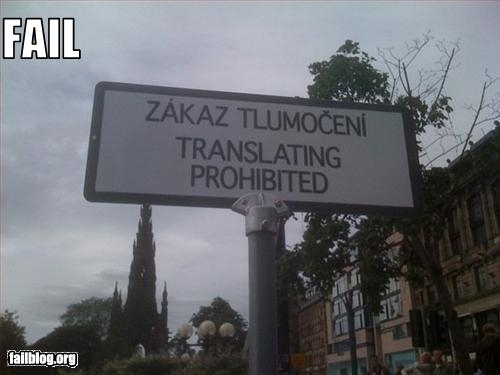 What is most puzzling about this sign is that it is not an example of what we’ve seen in the past, a translation error: Zákaz tlumočení does indeed mean “translating [interpreting] prohibited”. 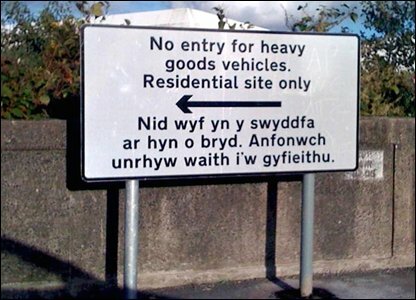 Apparently, and without explanation, the sign’s injunction doesn’t apply to the sign itself — how else would it have been possible to make the sign without the act of translation? According to the comments in the Failblog thread, the most likely explanation is that at this particular spots, noisy tours for tourists are unwelcome. 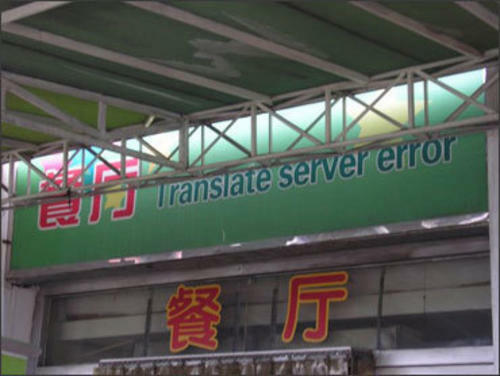 Except if the tour guide speaks Czech.